Around the Camp – Drought assistance infomation, AWI survey, Fashion parade at your show, EID booklet published. Drought Assistance information and interactive map. AWI Wool and Sheepmeat Survey. Wool fashion parade – at your local show. 1. Dry at your place, there is help available. 2. Tri-annual Wool and sheepmeat survey. AWI and Meat & Livestock Australia (MLA) jointly conduct the tri-annual wool and sheepmeat survey. Woolgrowers’ continued support of this survey will provide forward-looking information allowing the industry to better manage the supply chain and meet producer and customer expectations. The improved questionnaire makes it easier to fill in the key estimates of wool and sheepmeat production information. Responses will be aggregated with the replies from other participants to create regional, state and national wool and sheepmeat industry data. 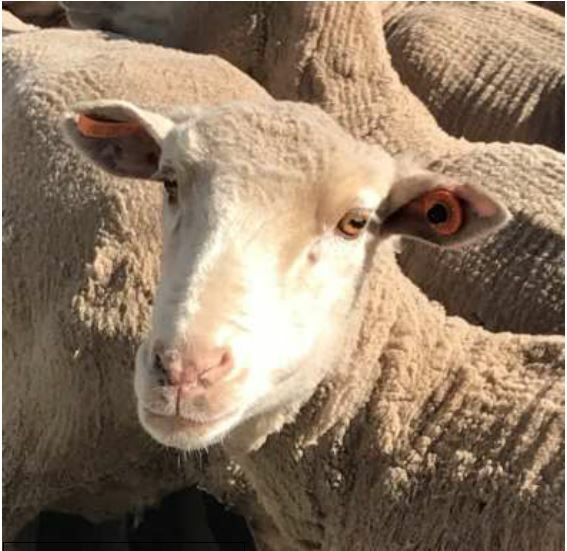 To Contribute to the February 2019 AWI and MLA wool and sheepmeat survey click here. Individual responses remain strictly confidential. 3. Would you like to have a wool fashion parade at your local show? Are you on the committee for your local show? Would you like to receive more information about showcasing high quality wool fashion at your show? AWI have garments and information available for you to use as part of your fashion parade and there is a variety of apparel that you are able to select from. To view the original article in Beyond the Bale click here. To register your interest and receive more information about the availability of this kit, please click the link below. 4. Electronic Identification (EID) Booklet. Leading Sheep organised a series of workshops focussing on the practical use of EID ear tags in sheep. These workshops were held at Longreach, Cunnamulla and Goondiwindi and focused on topics most relevant to each region. Due to a wide variety of factors, such as the practical and useful nature of the information collected, it was decided to summarise these workshops and make it available on the Leading Sheep website. 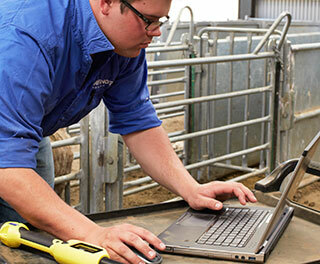 The booklet is titled ‘The Practical Use of Electronic Identification: a summary of Leading Sheep EID workshops held in 2018′ and is a collection of practical information and examples from producers and presenters who attended these events. The booklet includes an overview from 2 producers and 2 presenters on the commercial uses of EIDs, producers’ take home points from the workshops, frequently asked questions and prices, and examples of some of the equipment needed. 26-28 February Nutrition EDGE, St George by Desiree Jackson. For more information and to register click here. 5-7 March Nutrition EDGE, Wallumbilla by Desiree Jackson. For more information and to register click here. 1 March Bush Tech Road Show, Charleville by Direct Injection Technologies. For more information click here. 6 March International Woman’s Day 2019, Toowoomba by DAF. For more information and to register Click here. 15 March WOOLWORKS – Forum and Dinner, Longreach by Leading Sheep. For more information and to register click here. 26 March Data to Decisions, Charleville. Save the date. 27 March Data to Decisions, Tambo. Save the date. 28 March Data to Decisions, Barcaldine. Save the date. 29 March Data to Decisions, Longreach. Save the date. 31 March Australian Sheep Parasite Survey (30min), by AWI and UNE. For more information and to participate click here. 10-11 April Business EDGE, Longreach by Bush Agribusiness. For more information and to register click here. Around the Camp: Its an EPIRB for sheep… kind of / looking for new staff? / is that a blowfly? / AWI AGM.